The fast evolving pico projector market has produced devices that can help us multi-task through our lives. Having played with several already, I've found that some auxiliary bells and whistles could tempt a gadget lover to excuse low resolution simply because of a novelty attribute, like a fancy carrying case. 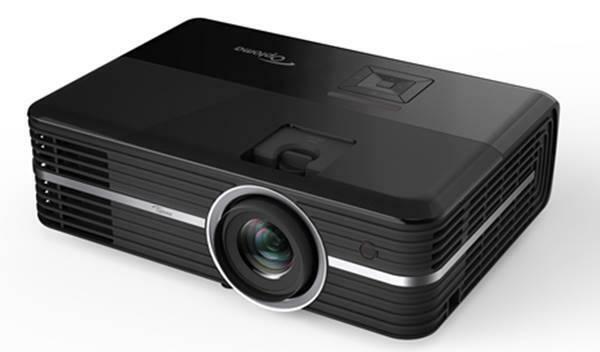 But General Imaging's iPico hand-held projector, with a supported resolution of 960 X 540 and LCoS display knows exactly what it is: a solid pico projector for use ONLY with the iPhone 3GS, 4S, 4 and the 3rd and 4th generation iPod. The iPico is a very unassuming projector. At first sight, I flashed back to my original Nokia cell phone. It is 4.44 inches by 1.89 inches by .67 inches and only weighs in at about 3.6 ounces. It easily nestled into the cell phone pocket of my purse. The iPico comes packaged with the projector, a USB cable, and a cleaning cloth. In order to charge, the manufacturer recommends using your iPhone or iPod power adapter. You must push up the iPhone/iPod connector to reveal the micro-USB port, which is under it. After about 2 hours of charging, you are ready to slip your iPhone 3GS, 4, 4S or iPod (3rd and 4th generations) onto the 30 pin connector. Instead of acting like a phone sleeve, such as the Brookstone Pocket Projector for iphone, this pico projector acts more like a podium for your device. It does have two rubber grips to add stability, but I'd exercise caution and refrain from letting clumsy hands near it. The ipico projector is junk. It won't even charge. And there is NO info or help to fix it anywhere! Works great, just have to follow the procedures exactly. the projector only has enough power to play for 15 minutes after a full charge and while still on charge. As in even on charge it drains 10x faster then it charges. I can't find the app either!! Is it still even available? I heard it was pulled. Which is very disappointing g if it's true. I can't use this crap without the app. It's useless. I bought the projector and it worked straight out of the box - with no app. For about 6 months (ish?). Then yesterday - no more. My phone and the projector suddenly don't recognize each other. I guess apple doesn't want a cheap alternative now that it's coming out with Apple TV. Whatever the reason, this projector is now JUNK. Enough people have confirmed it. Update your review, Laura Clinton/Projector Central! Just recieved it. Device only plays movies purchased on I TUNES,Personal photos that are in a slide show, possibly Next Flix. That's about it. Will not project Keynote, Pages or Numbers Apps. You need an App that does not exist anymore to project these other apps. They do not tell you this in the description. It also takes a long time to charge. Not worth the money. Please update your review . 0 STARS. I purchased this back 2012 for $249. I returned it and re-purchased it for $49 at Lord and Taylor. I don't have the iPhone 4 so I needed to get the coverter for the iPhone 6. Well, it doesn't work You need an iPhone 4/4S or the older iPod with the same connector (30 pin). Yea, this is junk but the LED is still strong.